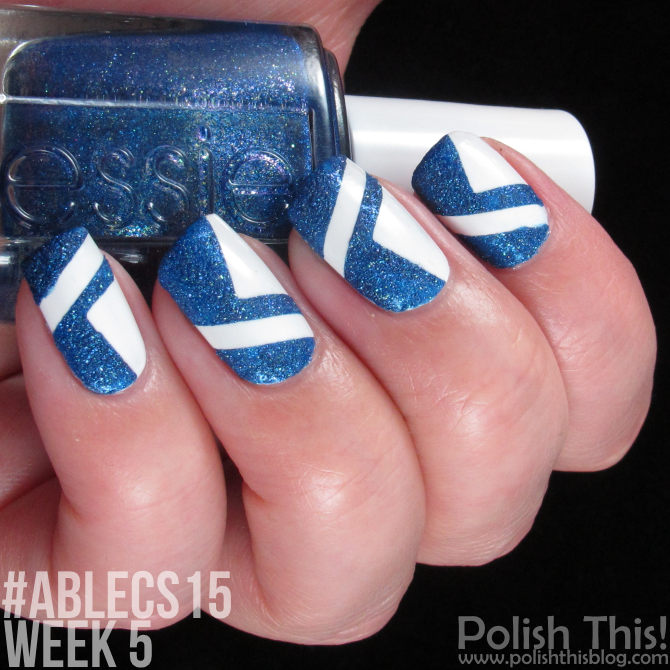 #ablecs15 Week 5: Textured - Polish This! Your Design looks absolutely gourgeous. I find textured (and then mostly glittering) polishes always a bit difficult if you don't want to look like a Barbie. 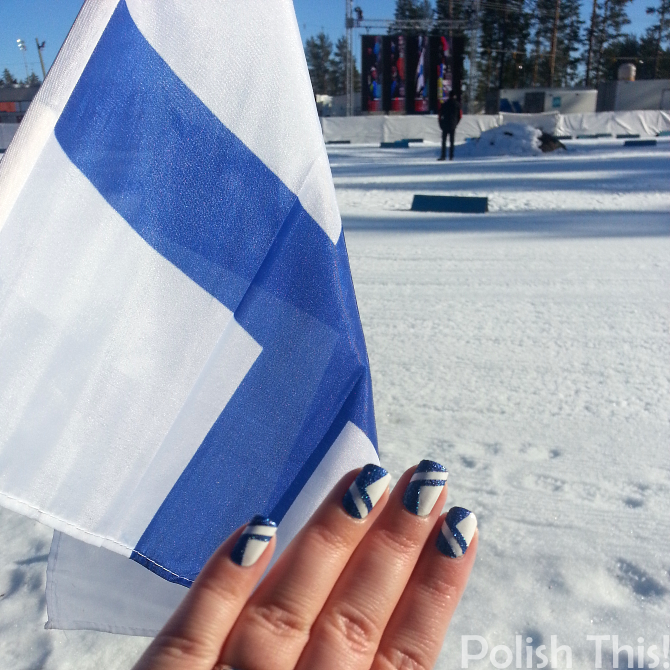 But the blue and white combination you did is absolutely elegant and I really like that. 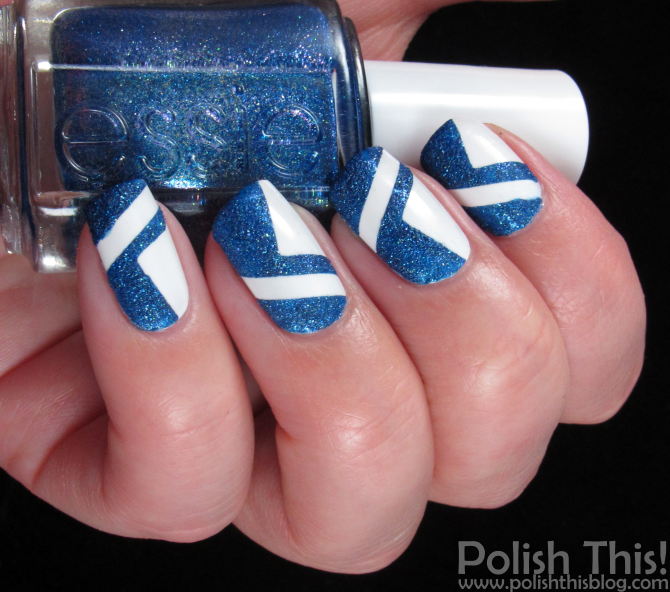 Yes, more textured polishes, please! 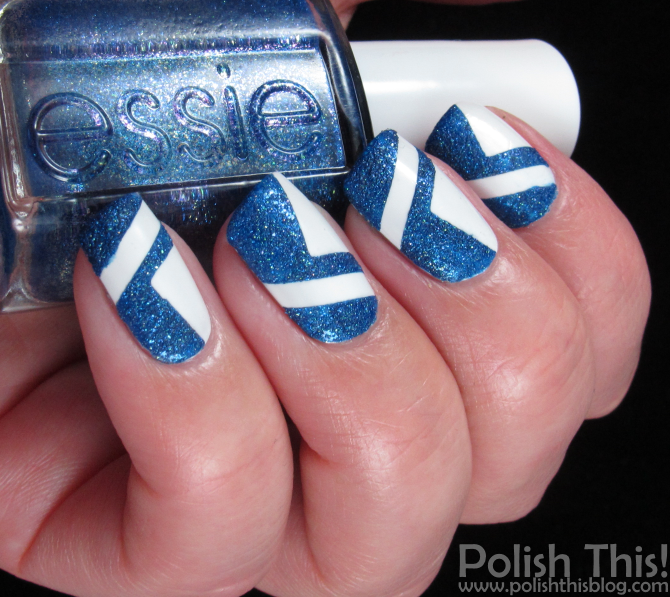 :) This is a great mani, looks like an abstract interpretation of your flag.